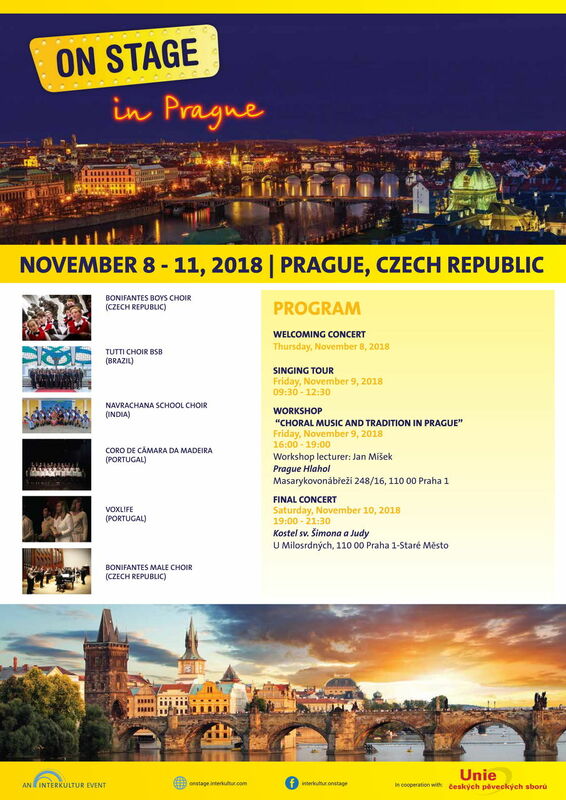 Already for the 3rd time choirs are gathering in one of Europe’s most remarkable cities to travel, sing and learn in ON STAGE’s next choral stop - PRAGUE! Exploring a city through songs, learning some choral pieces in the local language, exchanging choral highlights with other participating choirs as well as mingling and socialising in the excitement of a new event and destination, have already made ON STAGE events a choral lover’s favorite! This Concert is open to the public and free of charge, so parents/relatives/friends of the choirs are more than welcome to join us.